For far too long there has been too little said about this unique approach to raising money in the kingdom of God. Secular approaches have been adopted without question by Christian organizations and ministries. As a result, while we may have had some success in raising money, we have failed to raise up godly stewards. In the past several years, however, the silence has been broken and a wide range of voices has joined with a small group of long-time faithful advocates to call our practices into question. The result of these combined forces is a movement among Christian development professionals, consultants, theologians and ministry leaders to re-think our entire approach to raising money for God’s work. Gary and I want to tell you plainly what this little book is about. Our purpose for writing it is to provide momentum to a movement that is already underway. This movement is aimed at the heart of every person who is in any way involved in the process of raising money or giving money for the work of God’s kingdom. You may be a full-time development officer, an executive director, a pastor, a president, a board member, a volunteer or a faithful giver. You may have decades of experience in fund development or this may be the first thing you have ever read on the topic. Regardless, if you care about giving or raising money for God’s work, this book is written for you. The movement we are seeking to support is quite simple to explain. It is a movement away from a transactional process of raising money to a more transformational approach. These words, however, are being overused, so let’s try saying it a different way. It is a realignment of priorities that places changed hearts above changed bank balances. It is a new order that seeks to develop faithful stewards whose hearts are rich toward God. It redefines development work as ministry in the kingdom of God. And it replaces manipulative techniques and closing strategies with a dependence on prayer and relationship building as the essential tools for success. Put another way, all of my early training in fund raising equipped me to be a harvester. I am now convinced that when God calls us into the work of raising resources for the work of his kingdom, he calls us to be sowers. The symbol of our calling is not a sickle, but a seed bag. This book is a small contribution to that movement. 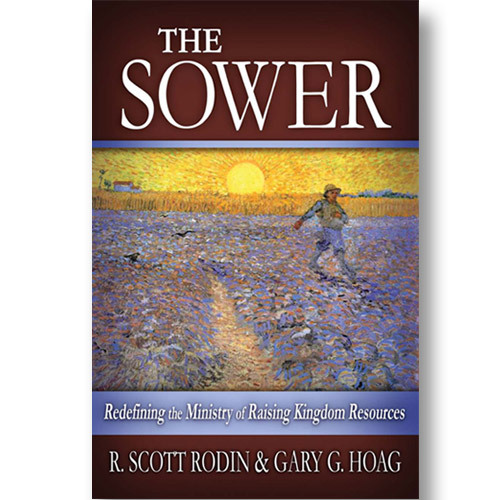 The basic premise of The Sower—that growing givers’ hearts should be a priority for the fundraising programs of Christian ministries—is a message that today’s hard-pressed fundraisers need to hear and practice. It's a challenge to balance the very real financial needs of our organizations with the spiritual nurture of donors, but as the authors suggest, the resulting eternal fruit makes doing so well worth the effort. I commend this book to persons and ministries that are serious about raising resources in a God-honoring way. Scott Rodin and Gary Hoag are unique individuals. They are trained New Testament scholars and experienced seminary executives and fund-raisers. When they team up for this booklet, the result is a thoroughly biblical approach to ministering to donors and potential donors that seeks to transform them into whole-life stewards for God in Christ, whether it benefits the fund-raiser's organization or not. Not surprisingly, more often than not it does! A must read. The triune God of the Christian faith is distinct from all other so-called gods in that he is the God of generous giving and sharing. God the Father has given generously His only beloved Son for sinners, who are His enemies. This book exhorts all true disciples of Jesus Christ to participate in the life of faithful stewardship and generous giving with the power of the Holy Spirit. 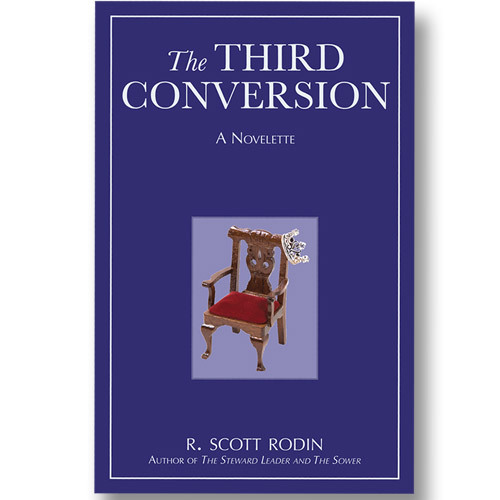 This is a must reading for all Christians in the whole globe who are struggling everyday to imitate the character of the triune God. 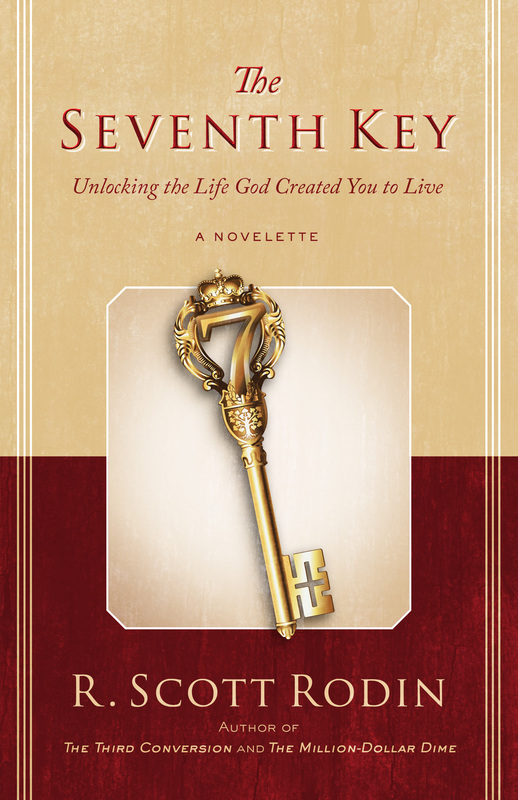 I am encouraged to see this quality publication that defines development work as ministry in the Kingdom of God that replaces manipulative transactional techniques and closing strategies with a dependence on prayer and relationship building as the essential tools for success. The authors call us to our appropriate role to sow faithfully, and then wait and hope and believe. Sowers cannot play God and cause the seeds to grow. All they can do, and must do, is sow faithfully and regularly and trust God for the increase. Scott Rodin and Gary Hoag are respected stewardship learners and leaders. This book takes Christian leaders, staff, volunteers, and givers on a journey that will transform their thinking, fundraising, giving, and generosity. This is a must-read for anyone that wants to go deeper and go further in their generosity journey. While we clearly know that ministry requires money, many of us struggle with the whys and the hows of raising money for God’s kingdom purposes. This book sets forth a helpful definition of development work as a ministry in and of itself – and in so doing – empowers God’s people to do the work to which he has called them. Out of my personal experience in raising resources for over 20 years in Christian ministry, I fully concur with the basic premises of this book that Generous giving is not the result of a ministries work, but God’s work in people; that true Generosity flows from transformed hearts as they are conformed to the image of Christ who is generous; and that Christian fundraising is not merely about marketing transactions to secure gifts; but it is about encouraging spiritual transformation, which is helping people become rich toward God through their giving.